Last.fm, a popular online radio channel enjoyed by current listeners from all over the world, has announced this week that their internet radio will soon cease existing in many countries (outside of the selected 7) as from January 15, 2013. Last.fm in the US, UK and Germany will be available only with a subscription, in the same way as it already exists exclusively in a subscription-only version for desktop users from Canada, Australia, New Zealand and Brazil. 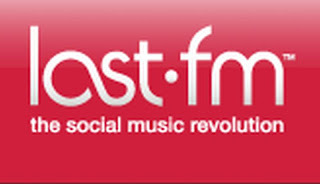 The users in the US, UK and Germany will also have access to a free web-based radio, but according to Last.fm’s press release – this free web radio will be full of in-stream advertisements. In the rest of the countries, Last.fm internet radio will be blocked. Last.fm has announced that in the rest of the countries their services will no longer be available even on a subscription basis, because of the licensing issues. Therefore, if you are based outside of these 7 countries: US, UK, Canada, Germany, Australia, New Zealand or Brazil – your access to Last.fm will be blocked from January 15th, both in Scrobbler and in the web-based free radio version. How to listen to Last.fm from France, for example? If the Last.fm radio is blocked in France from January 15th? A VPN connection that changes your IP address location to the “right” country is a smart solution! Le VPN, one of the best VPN-providers on the market with a reliable VPN connection, has VPN servers in 12 countries, including the US, UK, Canada and Germany. To listen to Last.fm online through Scrobbler or on the web, it is sufficient to connect to a server in one of these 4 countries, for example Germany, and listen to Last.fm from France with a German IP. And this whole operation takes no longer than a few seconds!